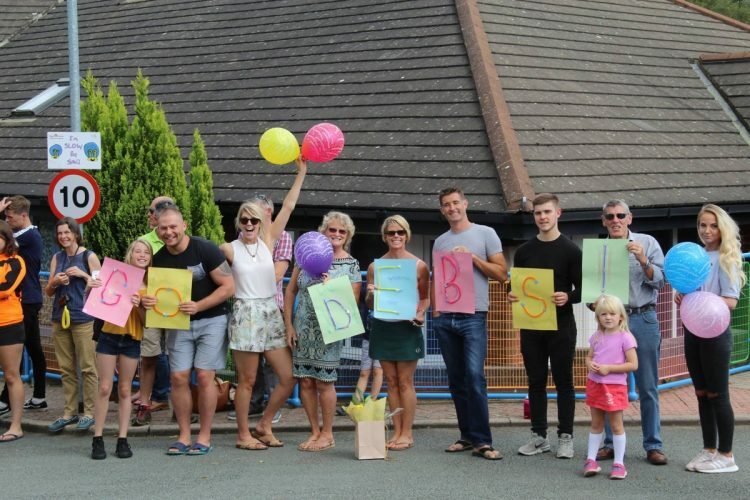 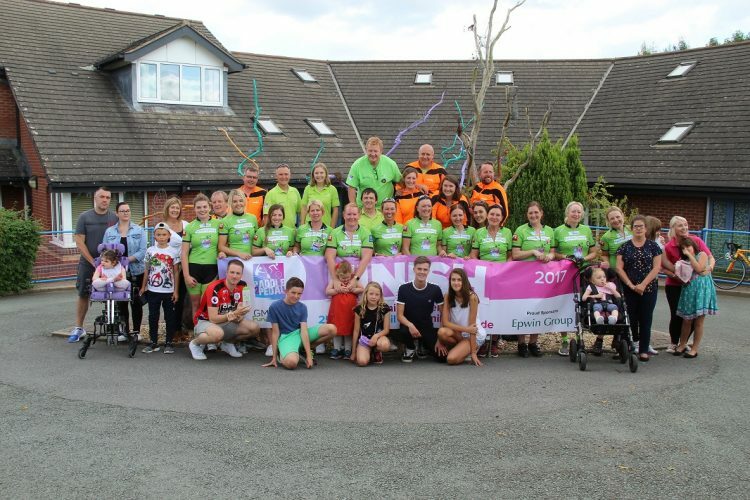 On Saturday 26th August, the Paddle2Pedal team arrived at Hope House in Oswestry to complete their 7-day canoeing, cycling and abseiling challenge, which saw them cover 220 miles, climbing 7,200 uphill and 135ft Abseil straight down. 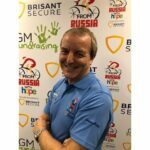 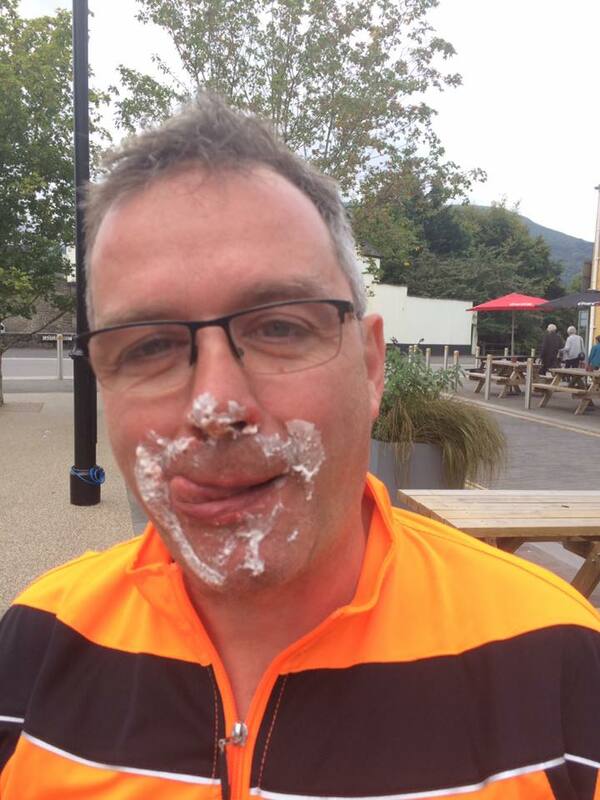 Gary Morton, founder of GM Fundraising and P2P support team member comments: “What a huge success! 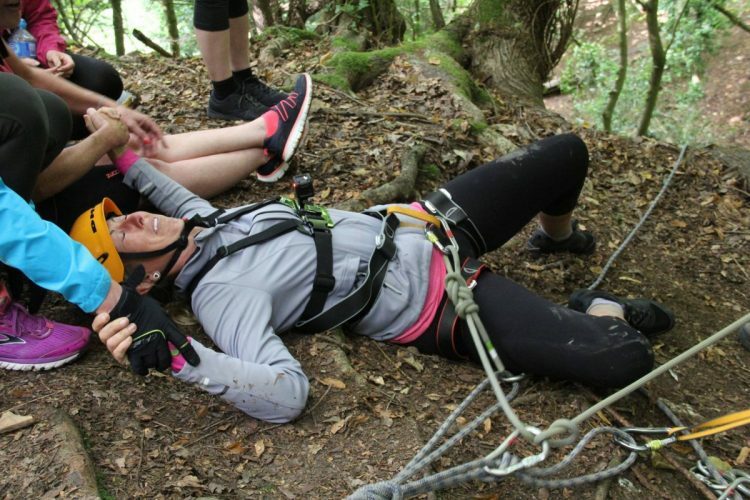 This was the first all-female challenge GM Fundraising has ever organised and the 12-strong team certainly gave the boys a run for their money, myself included. 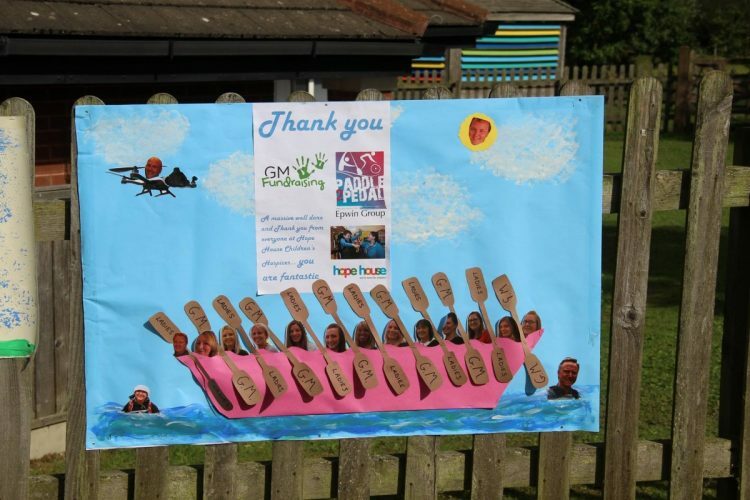 Over the 20 years of GM Fundraising, and with all the events we have organised, you develop certain expectations of an inaugural event but the girls smashed it in every way. 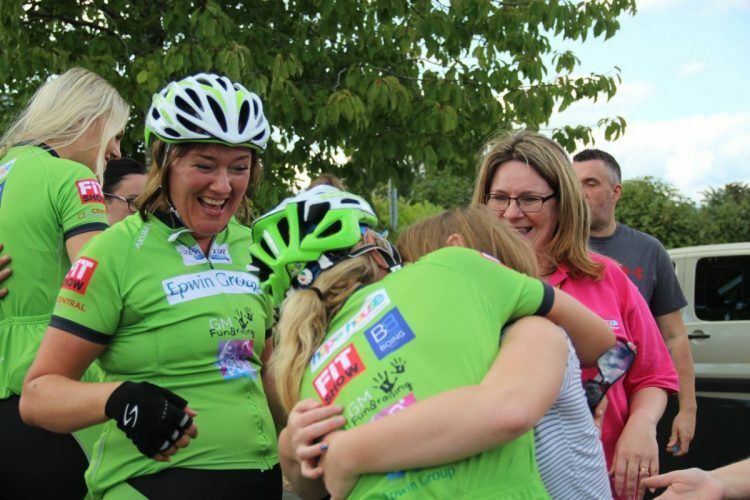 The camaraderie and team ethic was so strong; each and every member dug deep, pulled through and supported each other to do the same. 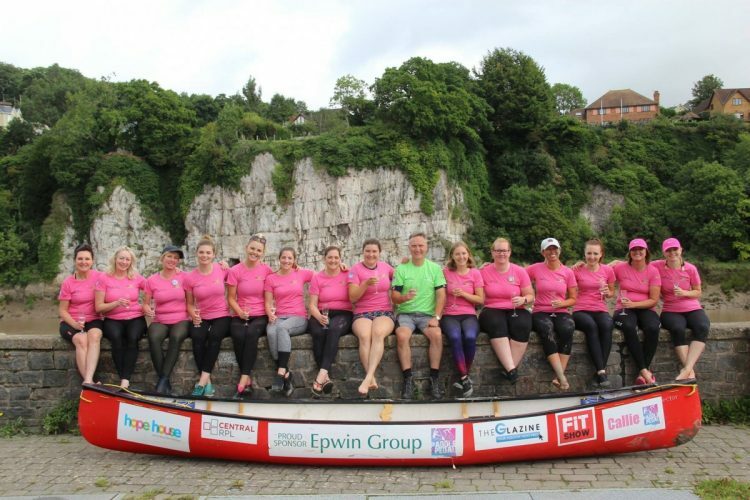 “Although the team were terrified of the canoeing aspect of the challenge beforehand, they sang their way (literally) down the 100 miles of the River Wye with style. 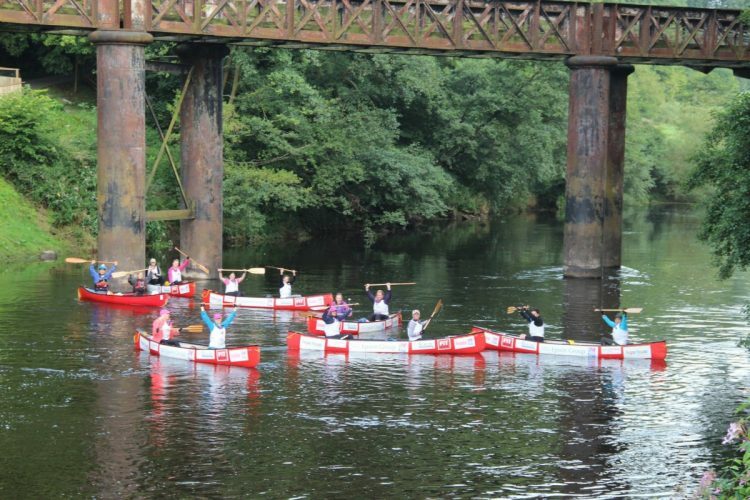 Only one member had previously been in a canoe before, but you wouldn’t have known. 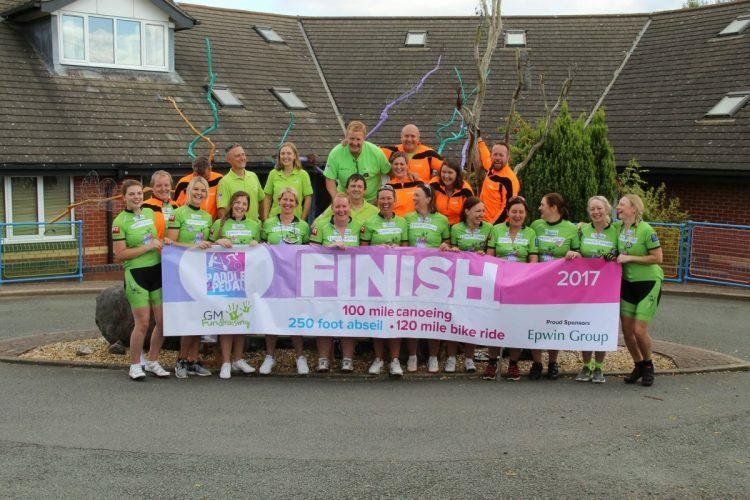 This is largely due to the excellent training before and support during of Mark Bache (Epwin Group), his daughters Megan & Emily. 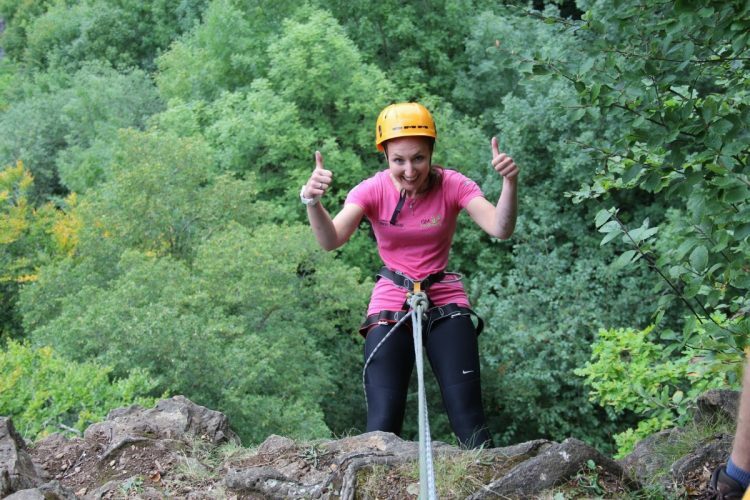 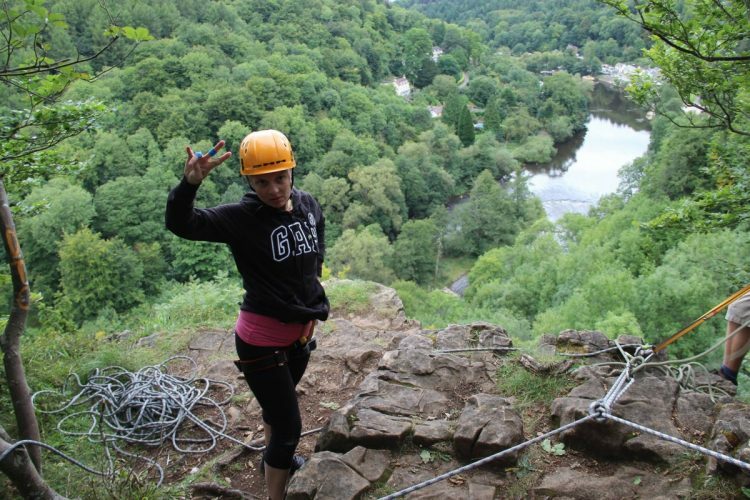 “The 135ft abseil at Symonds Yat was probably the hardest part and evoked a lot of mixed emotions. 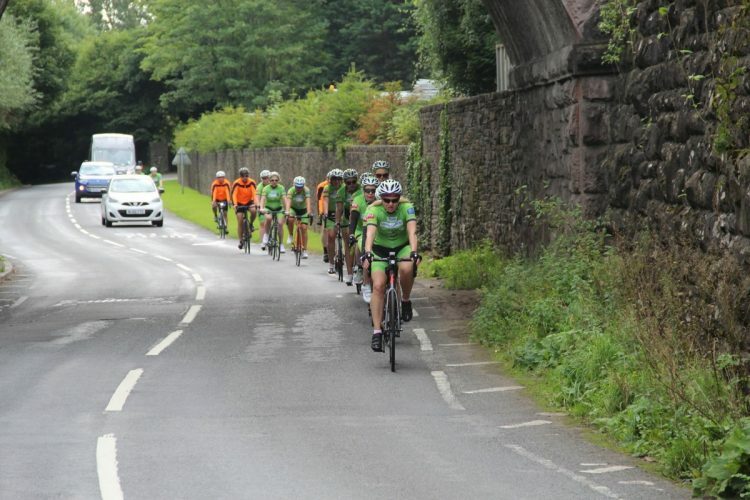 From facing personal demons to a double-thumbs up hanging from a rope, the entire team completed it, before getting on their bikes for the final leg of the challenge. 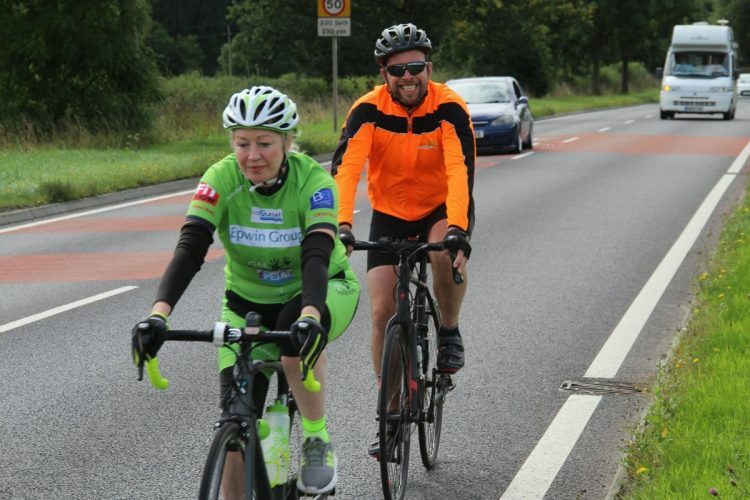 “The 120-mile cycling element was tough. After 5 physical days in a canoe, getting on a bike was harder than expected. 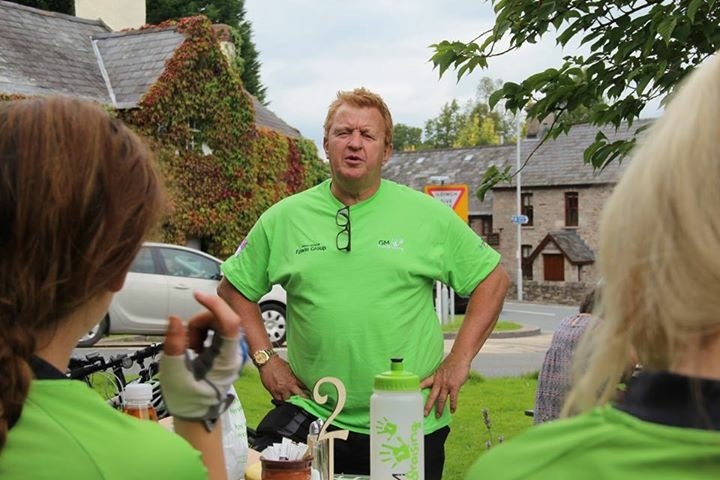 But with the care and support of Graeme Bailey (Business Micros), Glyn Moorhouse (Oakland Glass) and Justin Lazenby (Glass News) the ladies made their way through the valleys of the Welsh Borders to make their final climb together to Hope House in Oswestry, where they were greeted by family, friends and the Hope House children that had been their mascots throughout the event. 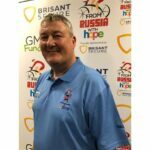 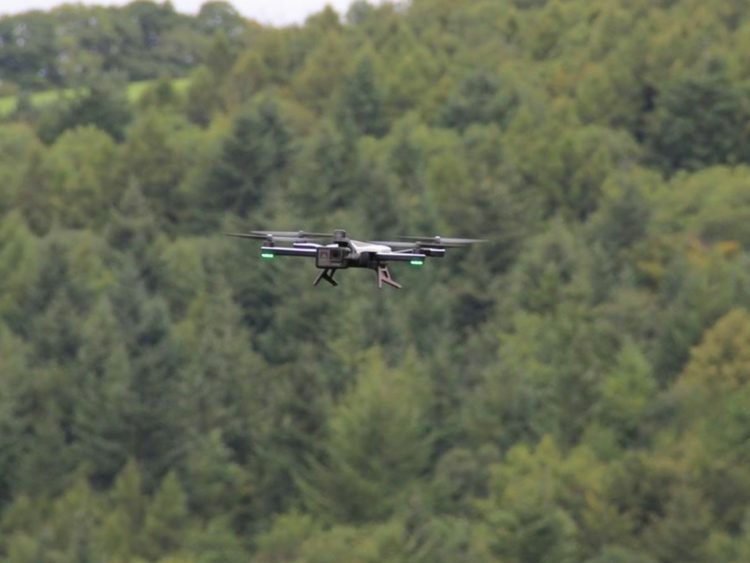 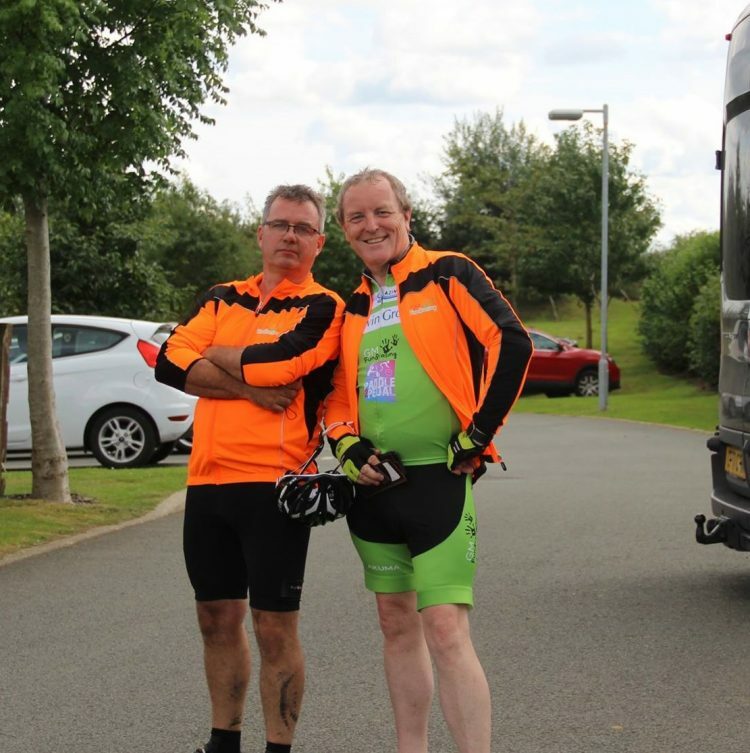 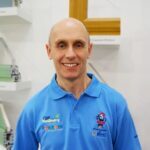 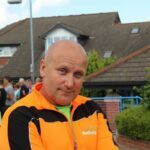 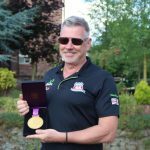 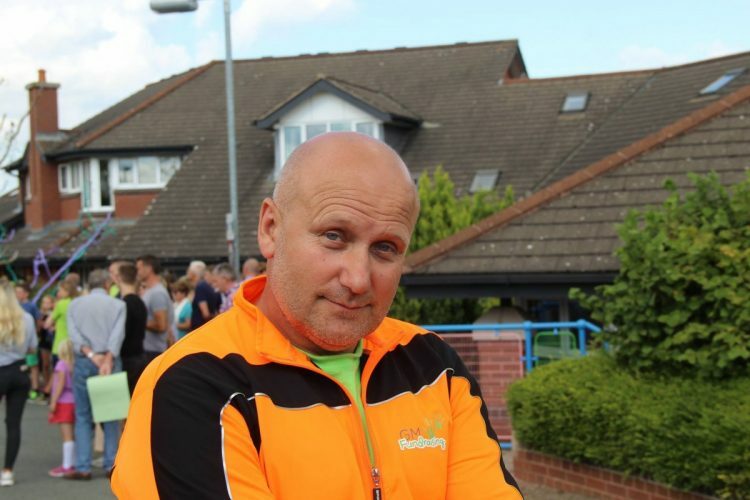 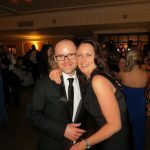 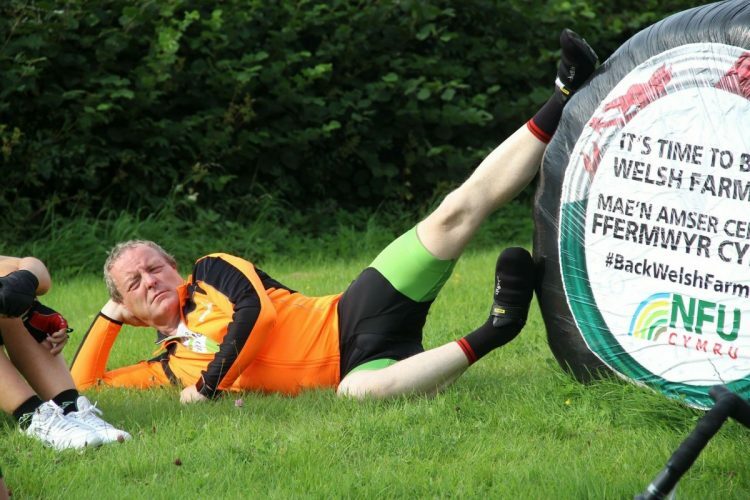 “Special thanks should also be paid to Alan ‘the-drone’ Sadler, my fellow support team member and long-standing member of the GM Fundraising team, who in addition to all the usual support duties, documented the whole event. 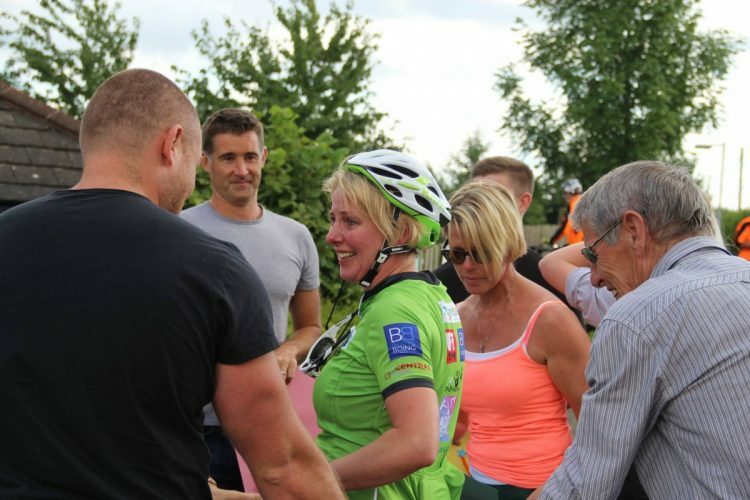 As well as being able to share progress with our supporters, it means the whole team will be able to enjoy their achievement for years to come. 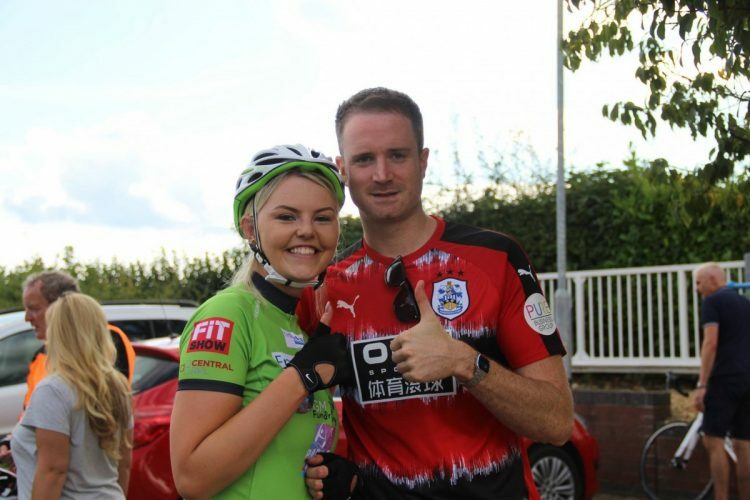 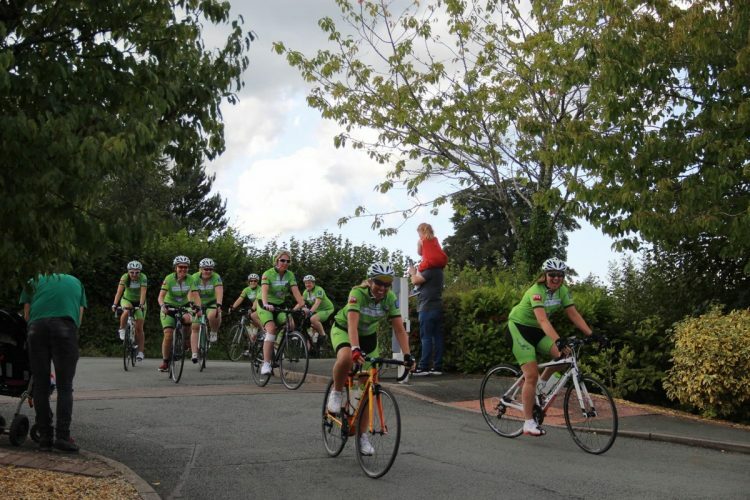 “So far the team have raised over £90,000 – a phenomenal amount and the most ever from an inaugural event. 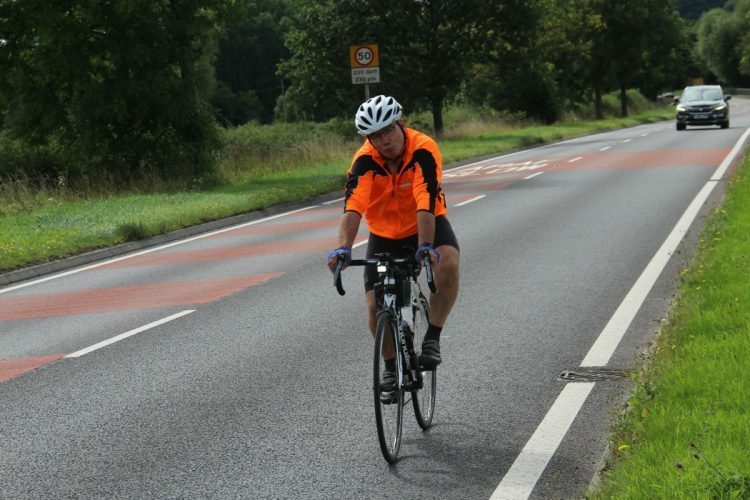 But they don’t want to stop there – we’re aiming for £100,000. 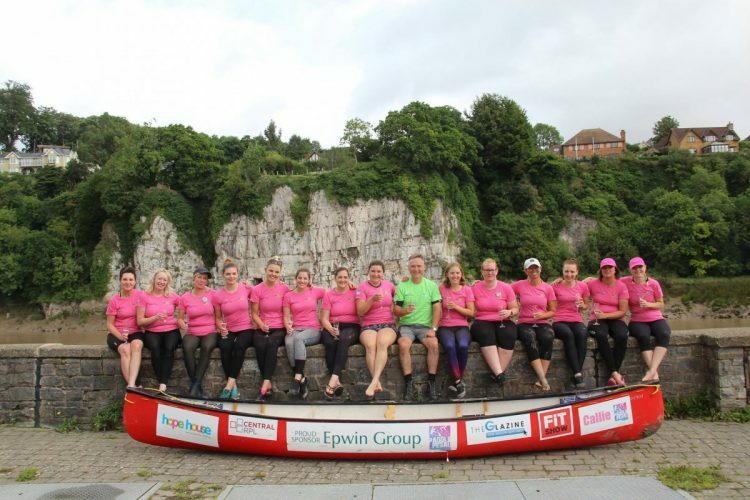 If anyone hasn’t supported them yet, I urge you to do so: this is a very worthy team taking part in a challenge for a very worthy cause and every little helps. The team consisted: Clare O’Hara (Epwin Group), Katrina Earl (Epwin Group), Christina Shaw (Glass News), Natasha Erskine (GGF), Charlotte Davies (Edgetech), Sarah Ball (Balls2Marketing), Tina Moorhouse (Oakland Glass), Deborah Hendry (Kolorseal), Amy Perrin (Quickslide), Helen Noble (Liniar), Nikki Dunbar (Liniar) & Sioned Webb (ALUK). 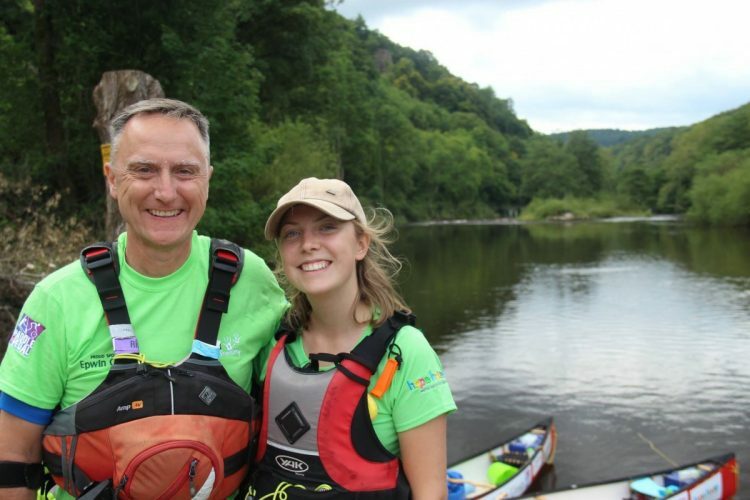 Thank You To Thermoseal Group →← Paddle2Pedal – River Wye…Done!